ExxonMobil has had to delay a Final Investment Decision (FID) on its Liza Phase-2 project as a result of the Guyana government’s move to carefully assess Field Development Plans (FDPs). The planned evaluation of the Liza Phase-2 FDP would mark a sharp departure in the government’s handling of ExxonMobil’s plans. The Guyana Government approved Exxon’s FDP for the Liza-1 well relying only on a technical evaluation that had been done by international consulting firm WorleyParsons without an examination of the projected costs for the development. Despite the FID delay, ExxonMobil says that the project remains on track. “FID will come after Phase 2 development plan approval. We’re working closely with the new Department of Energy as they perform a thorough review of the development plan. The project remains on track for first oil in 2022,” ExxonMobil’s Deedra Moe told Sunday Stabroek when contacted on Friday. Upstream said that the FID has been postponed to the first quarter of next year as opposed to being announced before the end of this year. In September this year, former Government Advisor on petroleum Dr Jan Mangal called on the administration to put all approvals for Liza Phase-2 on hold until a complete review of the Liza Phase-1 project cost is done. “I believe a real and substantive review still needs to be performed of the Liza Phase-1 project cost before approval of the production licence for the next project, i.e. before approval of the Liza Phase-2 project,” Mangal stated in a letter to this newspaper. “Even though the Liza Phase-1 project has been approved, the Government should withhold approval of the Liza Phase-2 project until they fix these issues,” he added. ExxonMobil has projected that the Liza-1 oil well development alone will cost approximately US$4.4 billion, which will constitute cost oil as per the production sharing agreement signed in 1999 and renegotiated in 2016. Chiding the Ministry of Natural Resources (MNR) for its failure to review the US$4.4 billion capital cost for the Liza Phase-1 project, Dr Mangal said that the review should have been performed prior to the approval of the production licence in mid-2017. 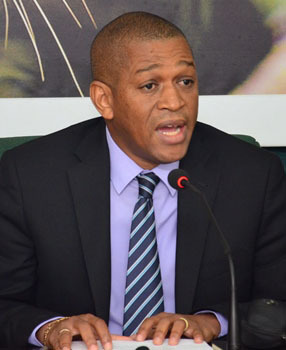 In October of this year, the APNU+AFC government announced it was seeking advisory services and technical support to enhance the country’s core capacity to review, approve and authorise oil and gas companies Field Development Plan(s) (FDP) and, in the process, protect the interests of Guyana in technical discussions with private sector investors. This was the first sign of a shift in approach by the government. In the ad, the Ministry of Natural Resources invited eligible firms to submit expressions of interest to provide the services. The successful firm will be expected to conduct an in-depth review of the FDP, environmental impact assessment (EIA) and supporting documents (including related FDP) submitted by the contractor(s). The ad said that this in-depth review must include, at a minimum, an assessment of the strategy and the development model, as well as the criteria for the choices that have been made by the contractor (with a particular focus on recovery, cost and safety optimisation) and potential alternatives. The duration of the assignment is expected to be four months with an option to renew on expiration, commencing 5th December 2018. Work is to be conducted in the offices of the contractor in Guyana and in Houston. The period of the assignment would signal that FDP approval for Liza Phase-2 was not possible this year. Upstream further said that with Guyana’s government facing a considerable administrative workload from the fast-moving Liza projects, the delay actually relates back to the first Liza floater (Liza Phase-1), already under construction following a contractual award to SBM Offshore. “This first phase of development, featuring a floating production, storage and offloading unit with a production capacity of 120,000 barrels per day of oil, has already received government approvals and project sanction, and is expected to start producing in 2020,” it noted. It pointed to the recent tender for consultancy services put out by the Department of Energy to obtain an independent analysis of this aspect of the cost oil aspects of the production-sharing agreement that governs the Liza development and said this has slowed the approvals process on Liza Phase-2. The Upstream article noted the slew of criticisms the APNU+AFC government has received since the renegotiation of the PSA in 2016. “These criticisms have arguably grown since the administration published the content of the production sharing agreement in December 2017, following a transparency campaign. The terms offered a better return to the oil company than most international benchmarks, according to a report by the International Monetary Fund (IMF). OpenOil, a Berlin-based pro-transparency entity which offers open data frameworks and training for managing natural resources at a supranational level, applied its own financial model and stated: “Over the life of the project the government should expect to see from 52% to 54% of profits, compared to well over 60% in a cluster of comparable projects signed in other frontier countries”,” the article states. After the deduction of a 2% royalty, the PSA allows ExxonMobil to utilize up to 75% of production as cost oil and the remainder is split 50:50 with Guyana. The PSA also commits Guyana to waiving corporate tax, value added tax and customs duties “in respect of income derived from petroleum operations or in respect of any property held, transactions undertaken or activities performed for any purpose authorized or contemplated” and also waiving most import duties. Fuel costs are also tax-deductible under the contract. The OpenOil report suggested there is also “a significant possibility, as reserves growth gathers pace, that ExxonMobil and its partners could achieve “rates of return of over 25%. Opposition politicians have also criticized a PSA stability clause that apparently rules out any new taxes, royalties or other additional fiscal obligations,” it added. It pointed to some forecasts, cited in a report on Guyana by the New York-based Natural Resource Governance Institute, which suggests that fiscal revenues from the petroleum sector could range between US$7 billion and US$27 billion over the next 30 years. Banna, I posted this already. Why swarm the board? Didn't see the post,my bad. There is an area in Texas now being developed with thousands of oil wells. It can produce oil at about 6 US dollars a barrel with one million barrels of production every day. With that type of production, even the Saudis will be in big trouble. I hope Guyana's oil is not hurt. If the Chief is still on the board I would like him to take a look at the area in Texas now being developed for oil and see if it would impact Guyana's oil production. The area in Texas now being developed is called the Permian Basin. Big bottleneck issue of pipelines. It will take years. They are trucking out the crude at enormous costs. Anyone notice the tanking of crude oil prices? Will this affect the scheduled oil money supposedly flowing in 2020? Yes, I intended to mention. We are in major oversupply. This is a multi year issue unless Iran takes out Saudi capacity. America is now pumping 11 million a day. America needs 19.6 million barrels of oil a day. If they are now producing 11 million barrels per day. The future does not look good for world oil producers. These factors will also influence oil prices in the future. 1. The electric car growth will further reduce oil need in the future. 2. When the Texas Permian Basin comes on board with its low-cost oil production it will be a killer. 3. Shale oil production is getting cheaper. 4. Western Canadian select (dirty oil) is now dirt cheap. 5. Solar energy is getting cheaper. dem ketch dem packoo, buss dem back and rub salt pun dem. AFC PNC Packoos running around wid salt in dem backs and bricks in dem pants. And Jagdeo hucksterd the AFC PNC.